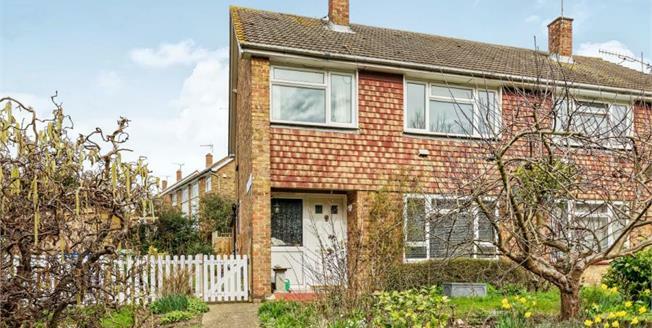 Set in the popular village of Boughton under Blean in Horselees Road is this three bedroom semi detached home that offers a fantastic opportunity to buy a family home. Inside you will find a good sized lounge/dining room and a fitted kitchen with space for all your appliances. There is also the benefit from a utility area to the rear of the property. The garden to the rear is lovely and secure for the children to play in as well as there being a generous plot to the side of the property.. Upstairs you will find three bedrooms, two doubles of good size and a single bedroom. There is great potential here, do not hesitate in booking your viewing today. The popular village of Boughton under Blean is a delightful location, well positioned for access to all main routes. The Street itself offers a restaurant, public house and local shop. There is also a local primary school in the area. There are many lovely walks in this area. Boughton under Blean is nestled between the medieval market town of Faversham and the Bustling City of Canterbury.